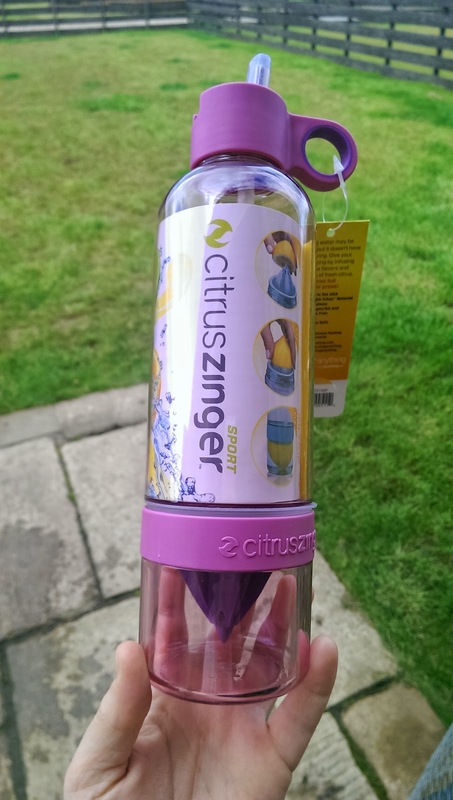 I came across these great bottles distributed by Root 7 recently….. the Citrus Zinger Sport and the Kids Zinger. The timing could not have been more perfect. I had just finished doing my Real Foods 30 Day Lemon Water Challenge and was keen to continue. To be honest I wish had known about these Zinger bottles before. Help keep acidity levels lower which can reduce inflammation or pain in joints and muscles. Helps your immune system fight infections especially of the throat and respiratory tract. 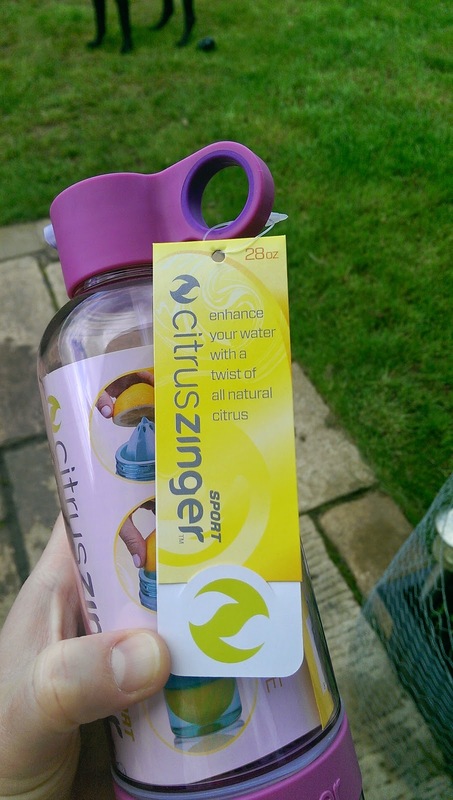 The Citrus Zinger Sport is an 825ml bottle that is super ease to use. 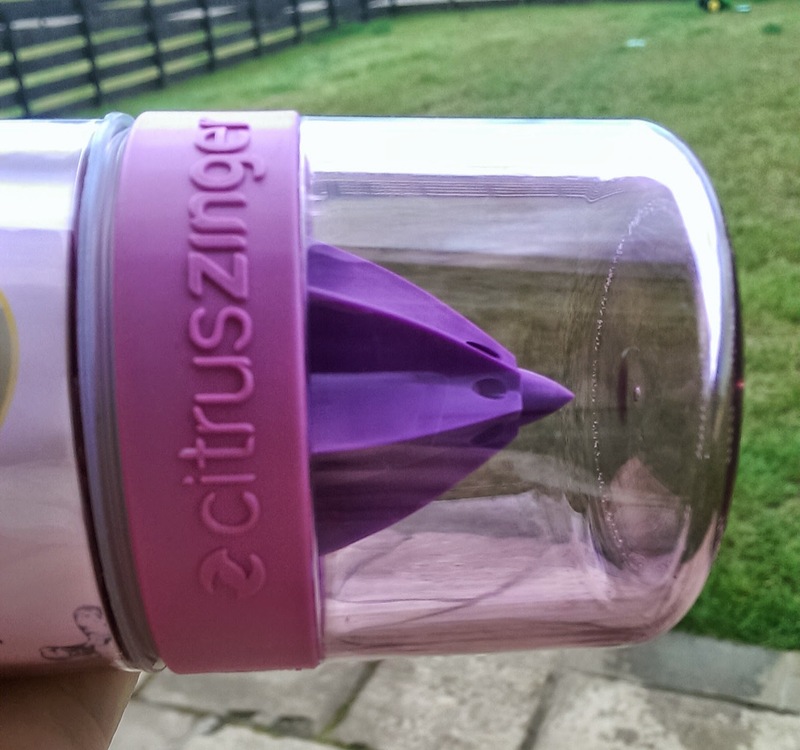 It is easy to hold, easy to drink from the “no hands” straw, it is no spill and the best bit is how easy it is to open and clean! So how does it work? Simply unscrew the bottom part, turn the rest of bottle on its head, add the fruit, screw the bottom back on, turn the bottle around again, open the top to add water and ice (if required) through the wide mouth top, add the top again before shaking… job done! 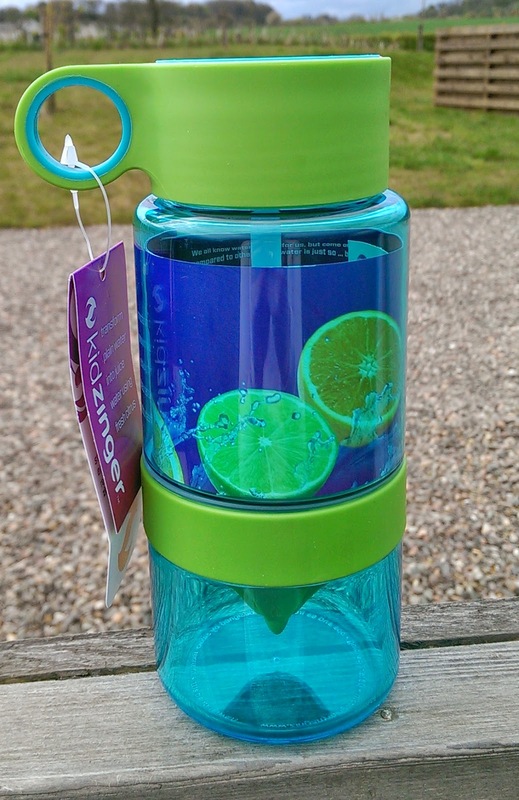 These fully reusable, recyclable and BPA Free bottles are dishwasher safe, making them particularly easy to clean. Love this product. The size is good. I am a little lazy….sometimes…. well actually I just don’t have lots of spare time, so the fact that this makes a big amount in one go works for me. I have just met with my big brother and I am thinking he was a little jealous with my “water infusion” bottle. He has been caffeine clean for “10 days ” and is loving citrus water every day. I am sure he would have happily borrowed (please read stolen) my bottle were it not pink. (Better luck next time bro!). 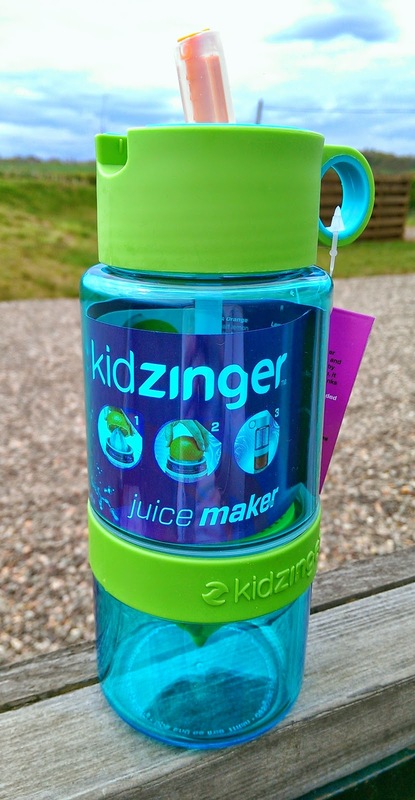 The Kid Zinger comes in a 475ml size and we got it in blue. These bottles have brought out the inner mixologists in my kids. I love that they are bringing me ideas of what to infuse next. 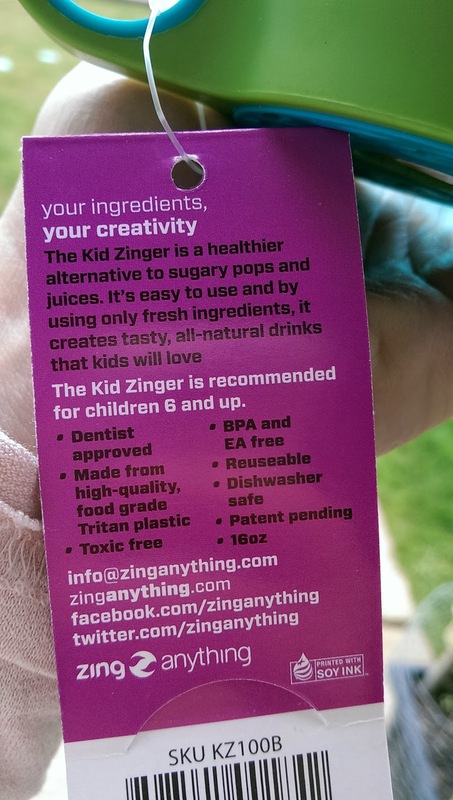 My son especially likes to be more adventurous and has now tried to infuse apple, raspberry and has even added ginger once! 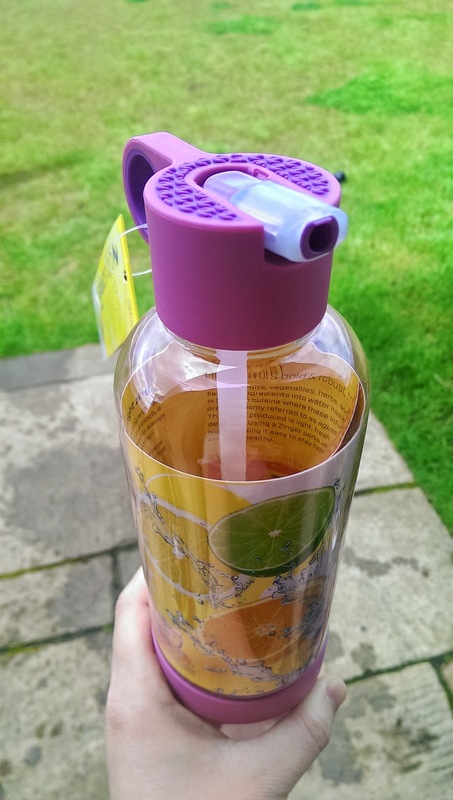 They love the water proof stickers that came with the bottles and have personalised them. I think what they love most about the Kid Zinger is that their bottles are mini versions of my bottle ….. awww…. and that they can create their drink themselves as they are stubborn like that. 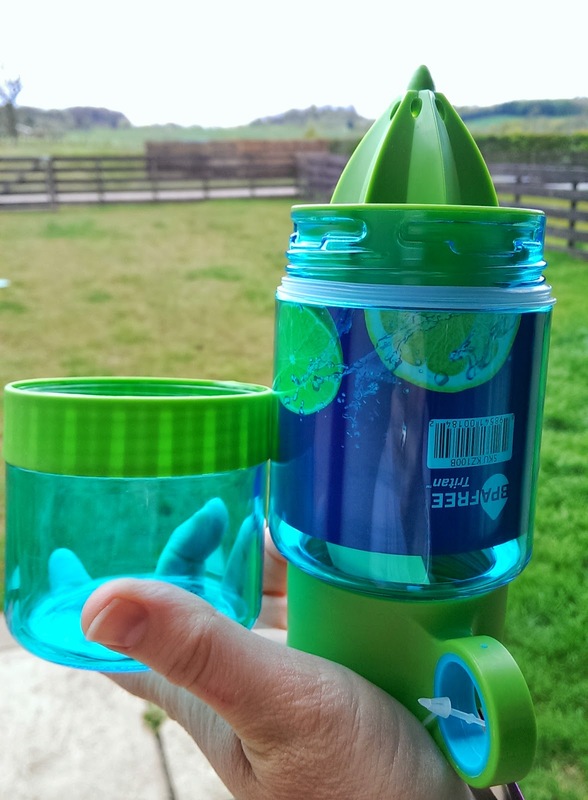 I have found that my kids drink more water now too…. perfect for summer. We took them out on our big dog walk and they happily quaffed all of their “special” water by the time we got home. I am all about BPA free bottles and containers in my house. The kids school water bottles and sandwich boxes are BPA free, as is my gym bottle and generic food storage containers. Yes I understand BPA free means this product is still made out of plastic and I would be more environmentally friendly and nontoxic to use glass….. but lets be honest, I am not about to send my kids to school with glass bottles. It is all about making little changes where you can. If you love the taste of water, if you hate the taste of water, these Zingers are awesome….plain and simple. 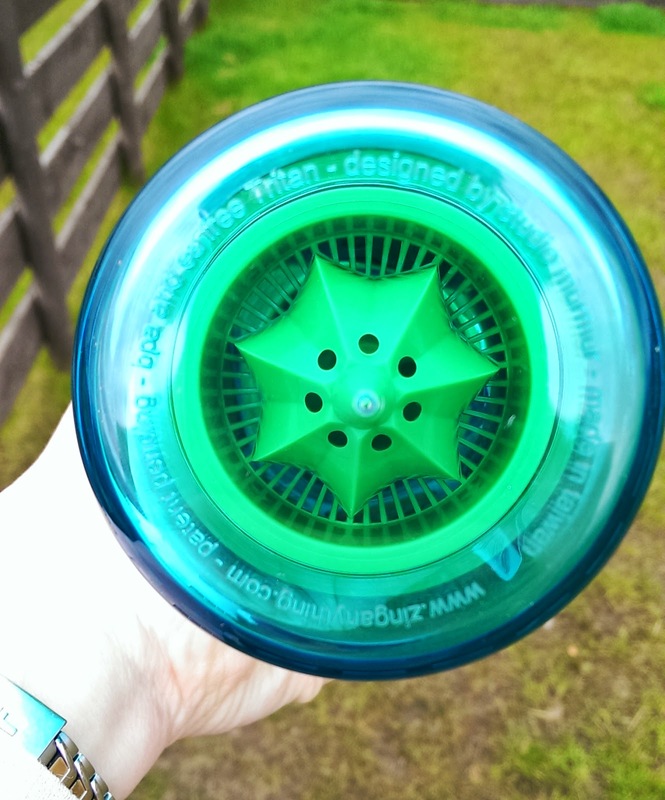 It makes drinking your daily water so much more interesting and feels more hydrating. Big thumbs up from the kids who are still thanking me for the bottles. How do you drink your daily water allowance? Have you tried any fruit infused waters?